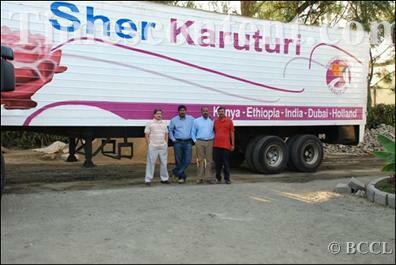 Bangalore-headquartered rose exporter Karuturi Global will raise $100 million (Rs 450 crore) through the private equity route to fund its growth plans in both agriculture and horticulture sector, and is expected to close the deal during the next week. This move to raise comes after protracted discussions with various global private equity funds and this infusion is expected to be from fund which are among the top 5 globally. Karuturi during this month has raised $15 million IL&FS PE and another $24 million through a GDR issue. The latest fund raising of $100 million will be part of Karuturi’s gameplan to invest $350 million to expand its fledgling agriculture and established floriculture business. The company on Thursday said that it is deferring the proposed rights issue. Karuturi is planting close to 100,000 acres in agriculture in African countries like Kenya, Ethiopia among others. Karuturi Global, a Rs 700 crore firm, has been deriving 95 per cent of its revenues from rose exports. While 95 per cent of its topline comes from floriculture, the company’s plan to emerge as a leading player in agriculture in the African continent, will see revenues from agriculture trump revenues from floriculture in two years. The company, which had already bought around 311,700 hectares of land on lease in Ethiopia to start agricultural cultivation in a phased manner. It plans to grow crops like cereals, sugar and palm for future exports. Karuturi Global expects Rs 80 crore revenue from the agriculture business this fiscal. In addition to this large scale diversification, Karuturi Global has been into the business of cultivating gherkins which brought in revenues of Rs 15 crore during the last fiscal. Karuturi Global had reported an increase in its revenues by 20 per cent during fiscal 2010, to Rs 532 crore from Rs 445 crore.